The United Nations has warned that almost two million people in Afghanistan are at risk of severe food shortages thanks to drought across two-thirds of the country, the New York Times reports. The big picture: The U.N. reported that — in the 20 provinces most directly impacted by the drought — almost 15 million people "rely on farming, livestock or [labor] opportunities in agriculture." The U.N. is trying to collect at least $115 million to give assistance to the 1.4 million people considered most vulnerable, on top of an earlier request of $430 million for humanitarian aid. But, per the NYT, only 28% of the original request has been filled. Afghanistan is already facing increasing attacks from the Taliban and ISIS. That fighting has restricted access for assistance to reach those in need. 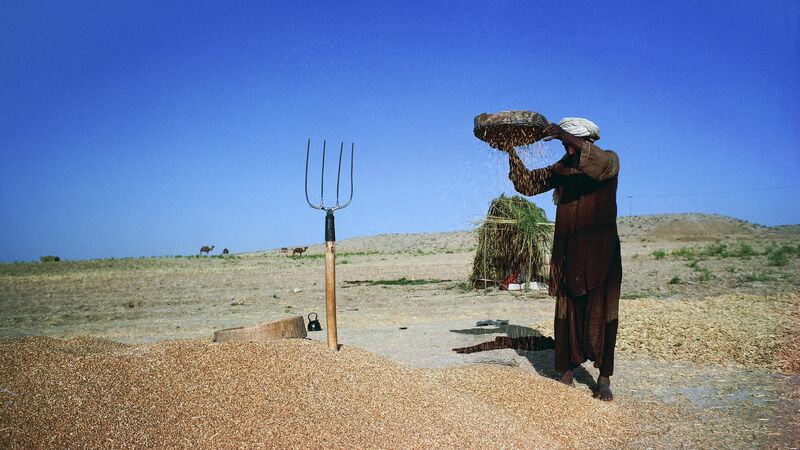 Ahmad Shah Khairi, head of the Helmand agricultural department, told the Times that his organization is unable to distribute "improved seeds" to those that need them, leaving "most of the population in need of urgent assistance."